Breton stitch is based on closed herringbone stitch making it a member of the herringbone family. 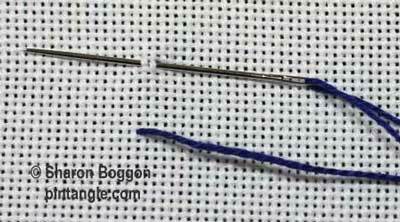 If you know how to work herringbone you will discover the working rhythm of the stitch much easier to establish. This stitch is quick to work and easy. It makes a good border or if you work it row upon row it makes an interesting filling stitch. 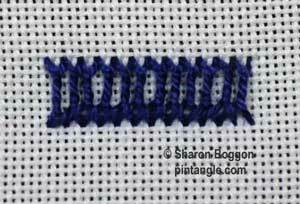 Changing the spacing of the stitch can completely change to look and feel. Although this stitch is demonstrated between two parallel lines you can work the stitch between curved lines creating shapes. Breton stitch holds a wide curve easily and can be worked in rings radiating out of a circle. You can also change the heights of Breton stitch and it can also be laced or you can intersperse beads between the spaces. Work the stitches between two parallel lines from left to right. Bring your thread out on the bottom line. 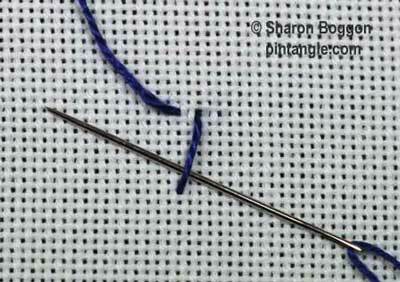 Move your needle diagonally to the top line and make a small stitch as you would herringbone. 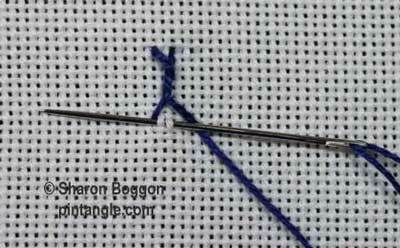 Pass your needle under the cross bar of the stitch, from bottom to top, as is illustrated. At this stage in the process you are wrapping the bar with the thread not going through the fabric. Insert your needle on the bottom line, with the needle pointing to the left. 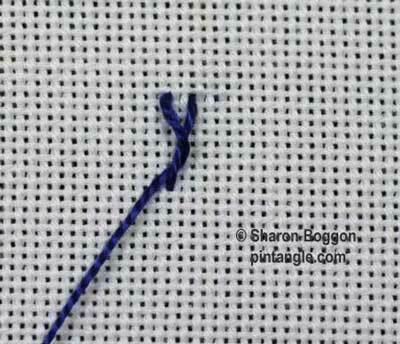 Take a small stitch as illustrated. Pull the needle through. Repeat this along the line. I like this stitch. 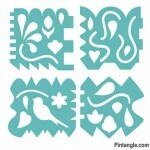 The “tree” (last picture) is something I am going to draw it to get bigger for future stitching. Sharon & Friends Happy Easter! My post for stitch 59. Thank you all! Happy Easter I hope all your health problems have been fixed. Another new stitch and I’m still thinking about it’s application. Thanks for the Breton stitch lesson! I like it!